Makers from Mexico to Oregon bridge the divide between art and function, showcasing the creativity of contemporary cowboy culture in North America. 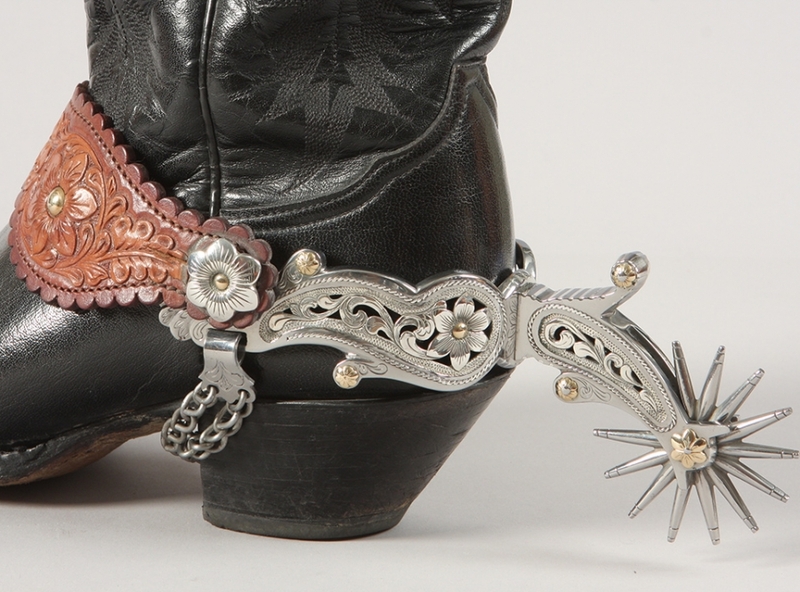 Bill Heisman, Spurs and Spur Straps (detail), c.2000. Steel, leather, silver, gold, 10¼ x 3 x 1 inches. Collection of J. Brent and Connie McKinley, Washington State.